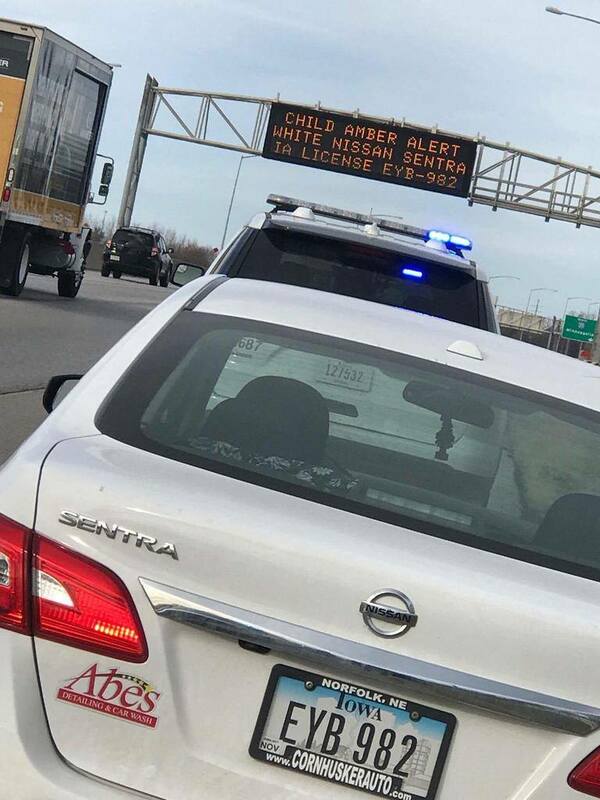 November 20, 2017*: An AMBER Alert for a missing 12-year-old girl has been canceled after she and her alleged abductor were found safe in Des Moines following a traffic stop on I-235. Beyonce Carrasco was reported missing around 3:00am from her home in Denison. Police believed she was with 13-year-old Rodolfo Penaflor, Jr. traveling in a 2016 Nissan Sentra. Around 2:00pm the suspect vehicle was spotted on I-235 in Des Moines. After a short pursuit the vehicle was stopped near the Euclid exit. The Iowa DOT reports both Carrasco and Penaflor were found safe inside the vehicle. File this one under “success.” Great work! *Image and information source: http://whotv.com/2017/11/20/amber-alert-canceled-both-subjects-found-safe/.